Camarillo, CA – Long time specialty printer manufacturer AMT Datasouth introduces two new models to meet specific industrial needs at the WestPack 2017 event February 7 – 9, 2017 in Anaheim, CA. These are the Fastmark Z5 – a compact low cost thermal printer versatile enough to handle numerous applications and the Fastmark Inkjet Pro – an inkjet printer designed specifically for industrial environments with a continuous feed, 6,000 page ink cartridge, and ink that is water, sun, and alcohol resistant. Both fall under the Fastmark® brand name with its strong reputation for personalized customer service both during setup and for the life of the product – unique in a market known for big name printers with limited service and no custom solution options. 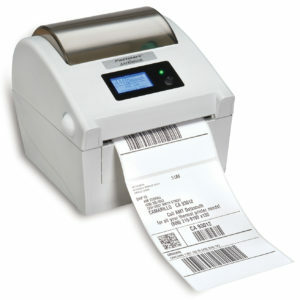 Fastmark printers are often used in barcode and other labeling applications. Also on display at the AMT Datasouth booth (#5598) will be other Fastmark thermal printers that are ideal for industrial applications, especially those that require barcoding and labeling: the high volume and fast M7XPd and the M8X with high resolution precision and the small M3 and M4 mobile printers for labeling on the go. 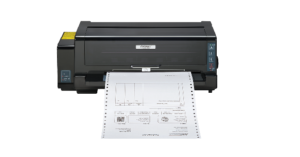 And for forms (especially multi-part) that can’t be done “electronically”, or where a signature or two are needed, or for really tough environments, there are the low-cost Documax 5380 and the high-powered Accel 7450. To date sales of Documax and Accel printers have exceeded half a million. AMT Datasouth has designed the two new printers with applications in inventory, shipping, logistics, warehousing, process control, product identification, food, retail, asset management, government, and industrial/manufacturing in mind. These printers can help automate a process and/or work within a current infrastructure to improve it. The Inkjet Pro features a flatbed tractor feed – unheard of in inkjets – which means fast media handling that avoids jams. It also has a tear bar so that continuous media can be printed and torn as the user needs, avoiding waste and leading to a strong throughput. The Inkjet Pro uses a pigment based ink that is water, sun, and alcohol fast, so no fading and storage concerns. It prints on plain paper, or if needed, on tough poly paper. It performs high resolution printing (up to 1200 x 1200 dpi) that produces graphics and barcodes with a good contrast. The 100 ml cartridge holds enough ink to print up to 6,000 pages in economical mode – allowing significant cost savings plus reducing the hassle of replacing cartridges often. The Fastmark Z5 accepts ZPL (Zebra) data streams and is available in 203 or 300 dpi models. It has several standout features that are standard in a marketplace that typically charges more for them, making it a real value for budget conscious users. These include an LCD display, Ethernet connection, 64 MB of memory, and an adjustable media sensor. For over thirty years, AMT Datasouth has been providing heavy-duty and reliable impact, inkjet and thermal printers. 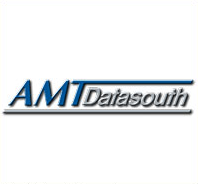 The AMT Datasouth team provides individualized customer service both for new installs and for ongoing support. If needed, our technical team can analyze a data stream from an existing application and prepare printer resident firmware to permit printing and formatting as needed, perhaps creating barcodes where none existed in the data stream. This personalized approach assures that users are satisfied with the results. Printers come with poplar emulations such as Zebra, Eltron, Datamax, Oki, etc. and our Smart Printers utilize our proprietary PAL® programming language. AMT Datasouth Smart Printers with a PAL app can print almost any data stream that an organization uses.